Star Wars Costumes for Kids & Adults – The Star Wars movies are a part of history that generations grew up enjoying and now a new generation of fans have developed, thanks to the release of the latest movie. The Last Jedi reinforces the story of beloved characters in an epic battle of good versus evil. The franchise introduced some new characters in The Force Awakens and continued to evolve those characters in The Last Jedi. New heroes emerged. Among them was the popular Rey. This character was a scavenger, but went on a quest to find Luke Skywalker. She quickly became one of the fan favorites. 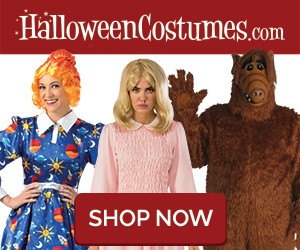 You can find her Halloween costume in a variety of sizes for both children and adults. Some of these may be bundled together so that you can also get some extra accessories, like the light saber and wig – along with her belt and bag. But not all of her costumes are sold with everything included. Another popular character, but one who was no hero, was Supreme Leader Snoke- whose goal was to destroy the Order. He was the one responsible for corrupting Han Solo’s son, Ben who became Kylo Ren. The costume for Snoke can have a robe as well as mask and hands as part of the bundle. Some of them will also have a saber and others will also have the boots. The mask and hands are made of latex. The Kylo Ren costume is a popular one for both children and adults. This costume consists of the cloak, shirt, pants, belt and black gloves. Most of these don’t come with boots or boot toppers. Some do come with the light saber and mask, but some don’t. Villain turned hero Finn was once a stormtrooper, but went on to become a hero instead. You can find his costume in several sizes. Just as is portrayed in the movie, these various costumes will consist of a jacket, pants and shirt. Some of them will also include the belt and holster. Favorites like Chewbacca are always a hit as a Halloween costume and so are the Stormtrooper costumes, both of which you can buy for a child or an adult. These are usually jumpsuits and while some can be made of cloth, others are made of molded plastic or latex. One of the most beloved characters who began in the original Star Wars is Luke Skywalker. It was devastating to some fans to see his demise in The Last Jedi. There is a costume available for him that’s made up of a hooded cape along with pants. You can get the wig and beard, too- either with some of those or as a separate accessory. The belt and light saber may also be sold as extras. You can find these in both children’s and adult size costumes.